As a newcomer to tourism, China has amazed the world with its rapid growth of inbound, outbound, and domestic tourism. Tourists from the Greater China area (Mainland, Hong Kong, Macao, and Taiwan) are well positioned to change the world’s tourism landscape. Influence of China in the global tourism arena will be even more significant with the realization of WTO’s vision of Mainland China as a top world tourism destination and tourists-generating country by 2020. The preeminent role of Chinese travellers in the social space of tourism has stimulated much interest in understanding their behaviors and psychology in various tourism settings. 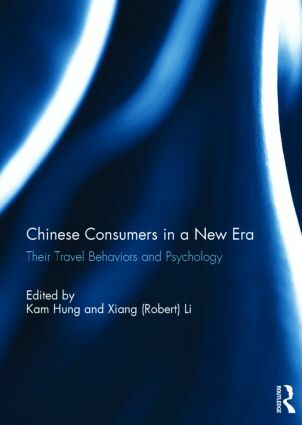 The chapters in this collection investigate different aspects of Chinese consumer behaviors and psychology in tourism settings. This book was originally published as a special issue of the Journal of China Tourism Research. Kam Hung is an assistant professor at the School of Hotel and Tourism Management of The Hong Kong Polytechnic University, Hong Kong. She received her Master’s and Ph.D degrees from Texas A&M University, USA. Her research interests include tourism marketing, tourist behaviour and psychology, senior travel, and cruise tourism. Xiang (Robert) Li is an associate professor at the School of Hotel, Restaurant, and Tourism Management, University of South Carolina, USA. His research mainly focuses on destination marketing and tourist behavior, with special emphasis on international destination branding, customer loyalty, and tourism in Asia.